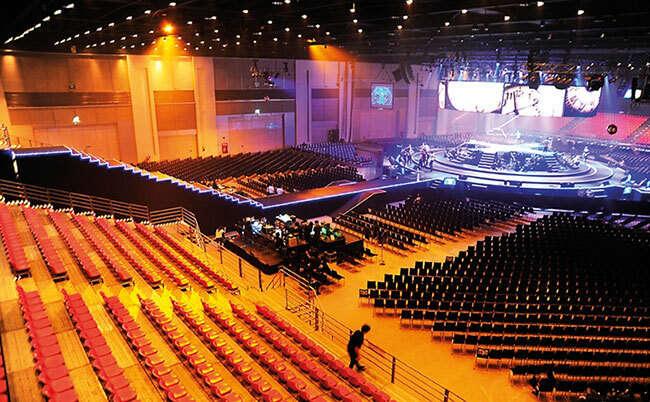 Thais have in recent years excelled in the world of international sports claiming gold medals in many of the international sporting events such as the Olympics. Apart from well-known sports such as soccer, badminton and swimming, there are a plethora of distinctively local sports. 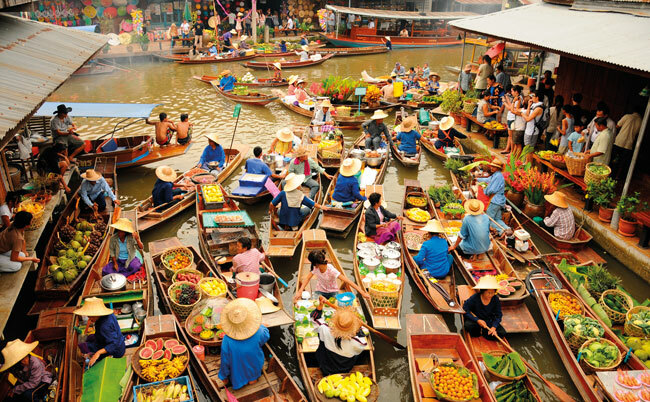 Thai sport is part of Thai culture which has been passed on from generation to generation. 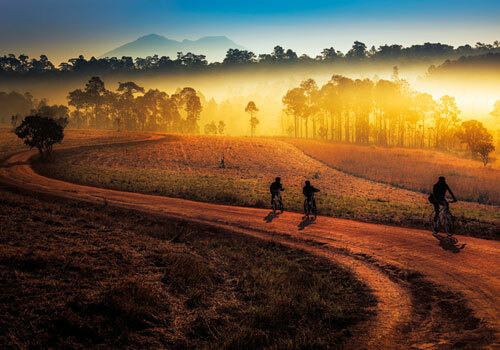 Sporting activities of Thais blend well into their agricultural way of life. It is another form of group relationship enhancement during the cultivating and harvesting periods. 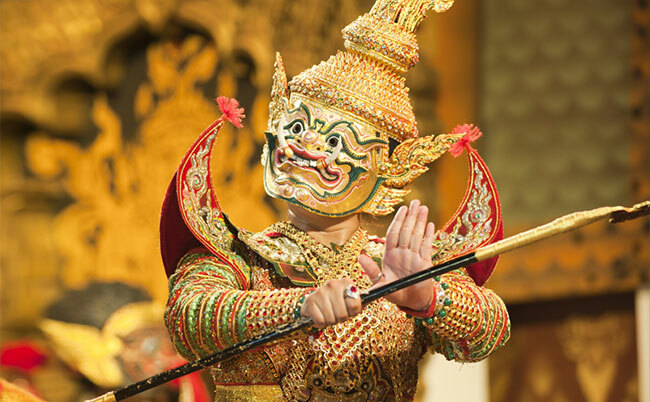 Thai sport is also a form of entertainment which takes place during religious and royal ceremonies and festivals. 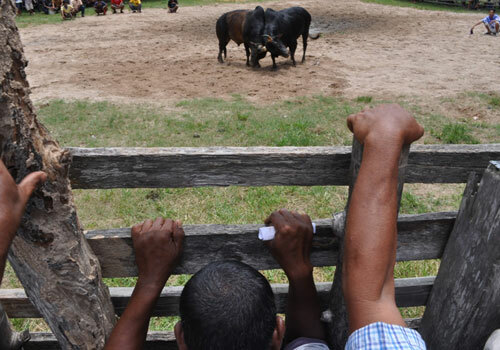 Thais young and old come together to participate in exciting games which are oftentimes humorous. Thai sport reflects the Thais' way of life and their intellectual subtlety. It is a fine bond that has bound the Thai people through a long past until today. The most famous national sport in Thailand is of course Thai boxing (Muay Thai). This martial art uses kicks and punches in a ring with gloves similar to those used in Western boxing. The hands, shins, elbows, and knees as well as gloved fists are all used extensively. Its roots stem from an ancient martial art handed down from generation to generation. The fights are commonly fierce and furious. A good contest is decided by application of techniques rather than brute force. 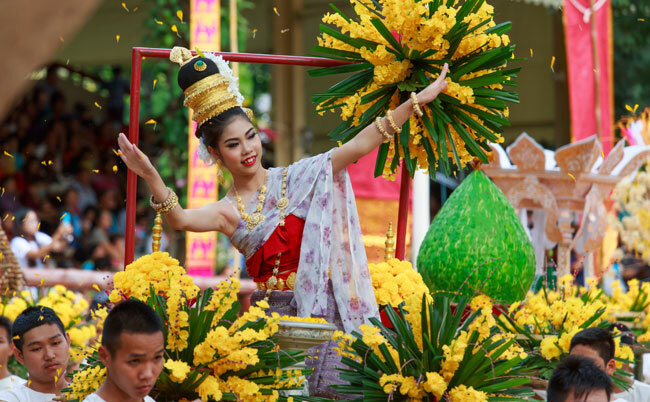 There is a pre-fight "Wai Khru" rite with traditional Thai instruments, a Java pipe, double-ended drums and cymbals, providing musical accompaniment. 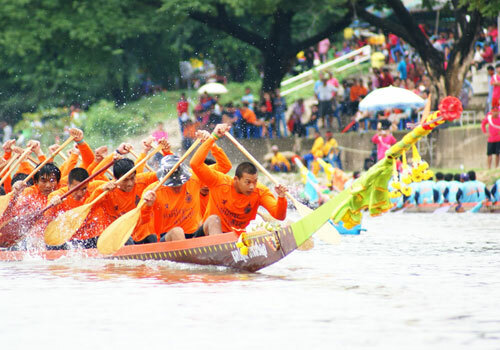 Boat Racing (Kaeng Ruer) dates from the Aytthaya period. Races are commonly staged during the post-rainy season months of October and November, after Kathins and presenting fresh robes to Buddhist monks. Boats are made from hardwood such as Takhian. Coloured cloth tied to the boat prow honours the guardian spirit. Each team consists of 8 t0 10 oarsmen and a heimsman (or more in long-tailed boat racing). 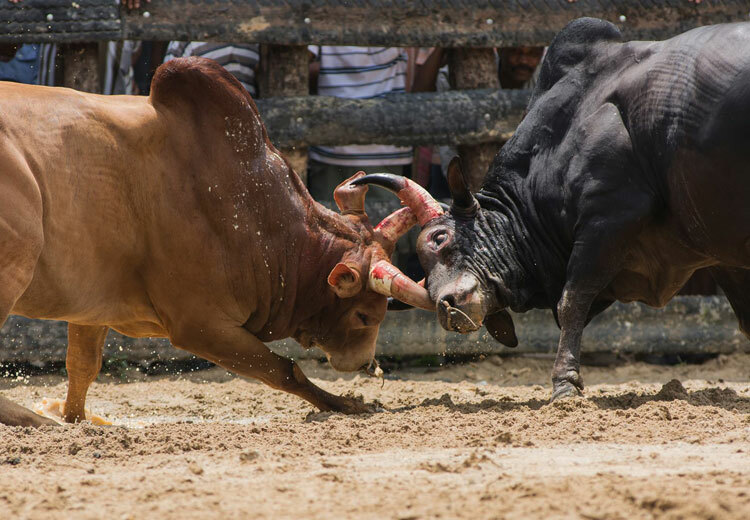 Bull Fighting (Chon Wua) is popular in southern Thailand, and is believed to have been introduced by Portuguese traders during the Ayutthaya period. Contests are generally staged during local festivities. 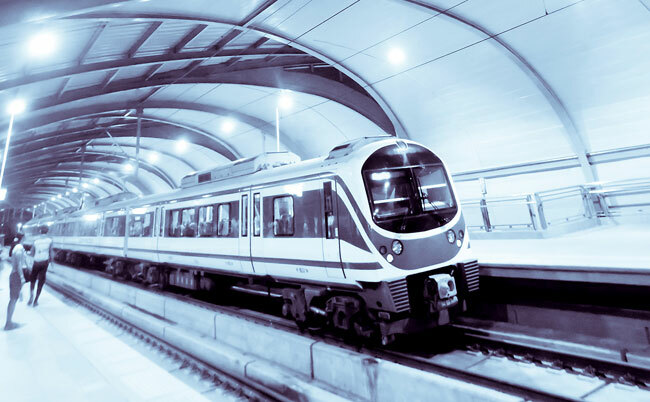 Participants are carefully selected for their strength and skills. 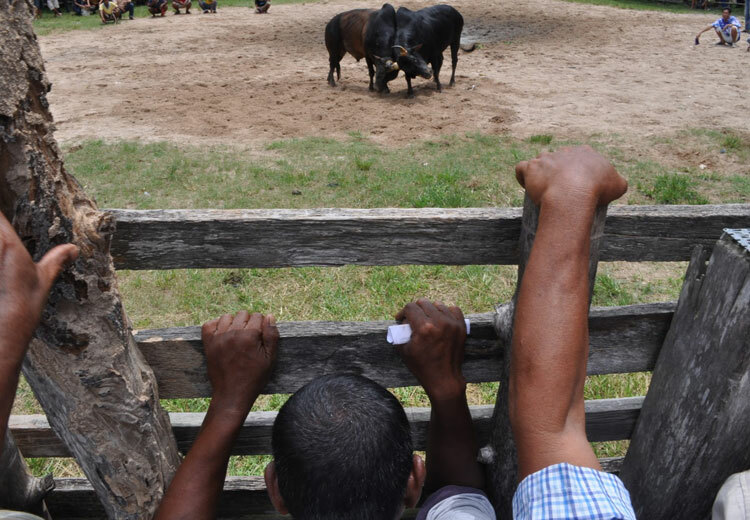 The sight of bulls locking horns never fails to enthrall spectators. Kite Flying (Len Wow) is popular during the summer months of March through May. 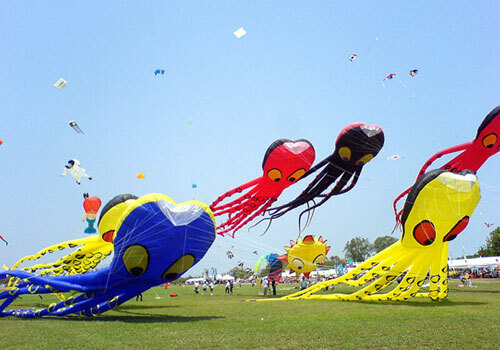 Kites have been enjoyed since the 13th and 14th-century Sukhothai period. The sport was probably most popular during the reign of King Rama IV (1851-1868), when people were granted royal permission to fly kites at Bangkok's Phra Men Ground next to the Grand Palace. There are two types of kites, those designed for display, and those designed for fighting. The latter types are the Pak-Pao and the Chula. Thai Chess (Mak Ruk Thai) is believed to have originated from Indian chess, and may have been used to plan military strategies. 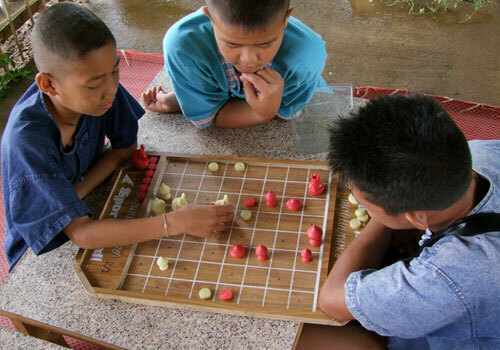 Thai chess like its western counterpart requires a square board. 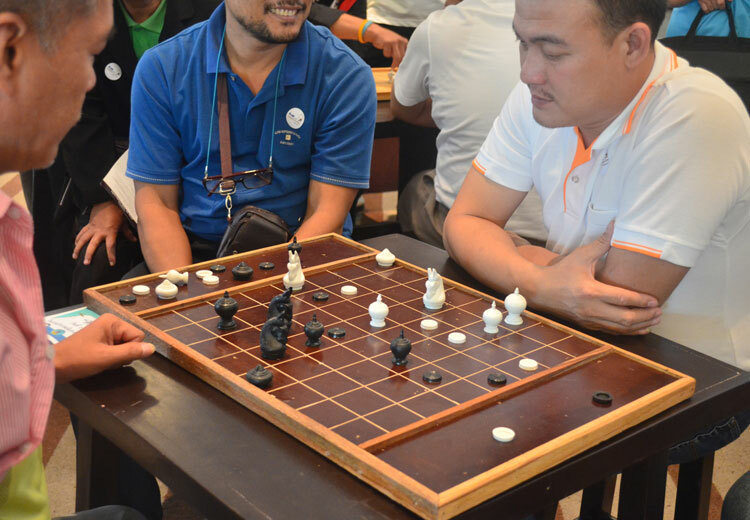 Opponents each have six types of chessmen until the Khun (King) of one player is "cornered". Thai chess provides intellectual pleasure, and sharpens rapid calculation and decision-making. Takro Lot Huang (Kicking a Rattan Ball) is played during leisure time, the SongKran festival, ordination ceremonies and other festive occasions. Styles of hitting the ball into the hoop are classified in three classes, namely the front hit, the side hit, and the rear hit. Another sports played everywhere is Takraw. It is similar to volleyball, but played with the feet and a light rattan ball. Thai people also like to watch or play football or tennis, and they are very good at badminton and petanque.